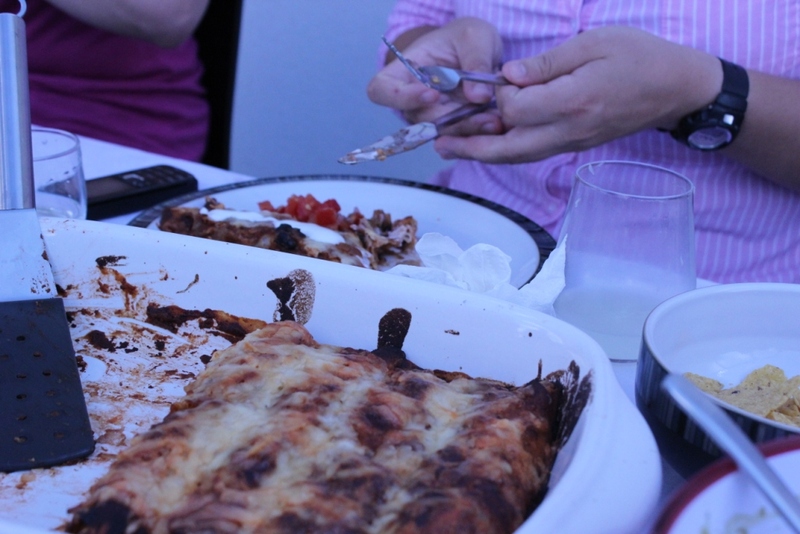 Last weekend we had the fiesta of a lifetime! 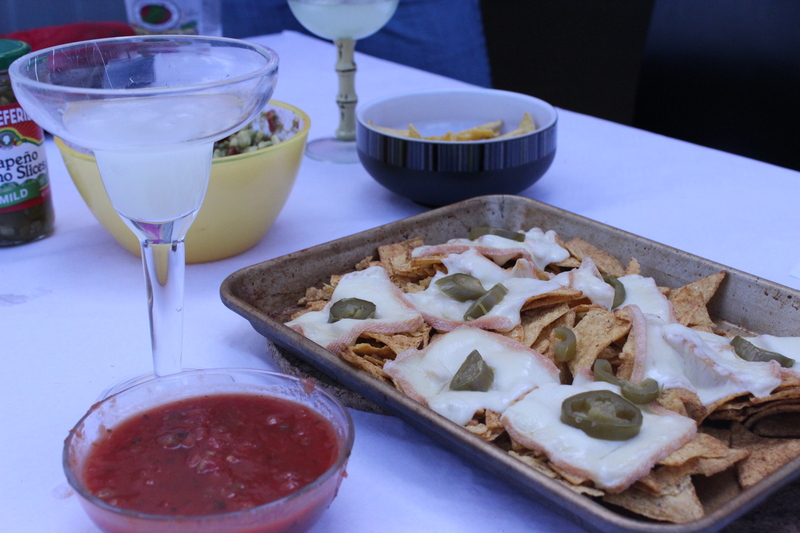 Even though I would have been happy drinking 5 margaritas, the enchiladas, dips, and nachos were a-mazing!! For dessert I attempted to make something Dulce de Leche. Not knowing my area too too well I set out in the morning to amble around and hopefully find a big enough supermarche that would carry “confiture de lait.” I got sidetracked at the cutest kitchen store and picked up some cookie cutters. Score! And get this- I asked the checkout lady, in French, where the nearest supermarket was, and…. She understood me!!! Yessss!!! Oh wait- and even better, I understood the directions! Win!! The supermarket ended up being one of those itty bitty, run in for the essentials type. Darn! No Dulce de Leche. Tina ended up looking in two stores for me while she was out with no luck. So we decided we would just look when we got to Jessica’s town. And I would have never guessed, we walked into a super run down tiny store and low and behold- condensed milk! What!? (Adventures in Paris! The excitement of condensed milk. Hahaha) We could make our own dulce de leche!! Even better! While the enchiladas were a cookin’ we got to it. Twenty minutes later of constant stirring and it was just starting to change color. More stirring and ah ha! Caramel color! Stop stop stop! 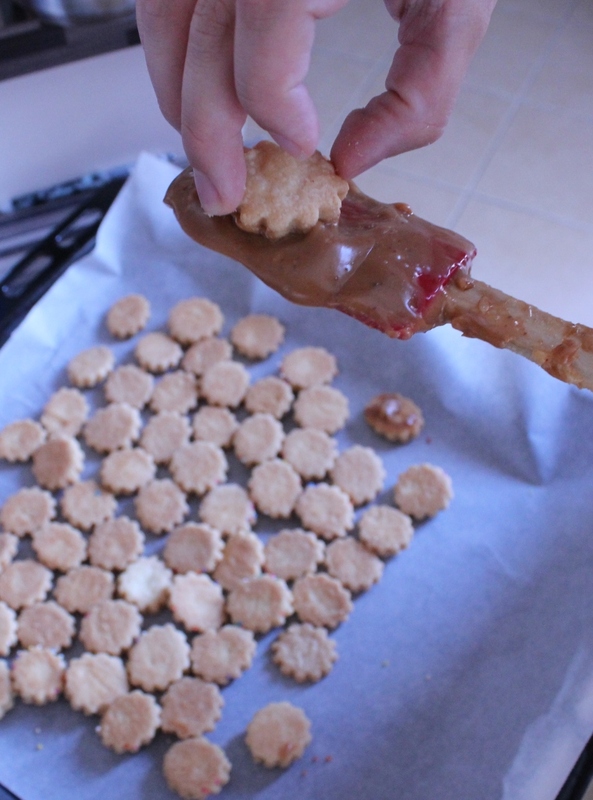 Then we set it aside to dip the cookies in later. Later came after some salsa dancing and the dulce de leche was rock hard. Ok- reheat- no big deal… We put it on the stove and nothing happened. Waited a good 5 minutes and no change. Hmm It ended up taking a large quantity of milk, Kathrin’s superior stirring skills, and 20 more minutes for it to melt. We dipped those suckers right away and darn were they good! Especially with the dulce de leche ice cream !! The remaining dulce de leche, a little more milk, and holy moly an amazing sauce! There were even some unmelted chunks in it making it even better! There are two methods below for making the dough. Not having a mixer, I’m having to make everything by hand! It’s kinda fun and not as hard as it sounds! By Hand: Whisk together the flour and confectioners sugar. Add the butter and use your hands to incorporate it making a “give me the money” tip motion running the mixture through your fingers. The mixture should resemble course sand. 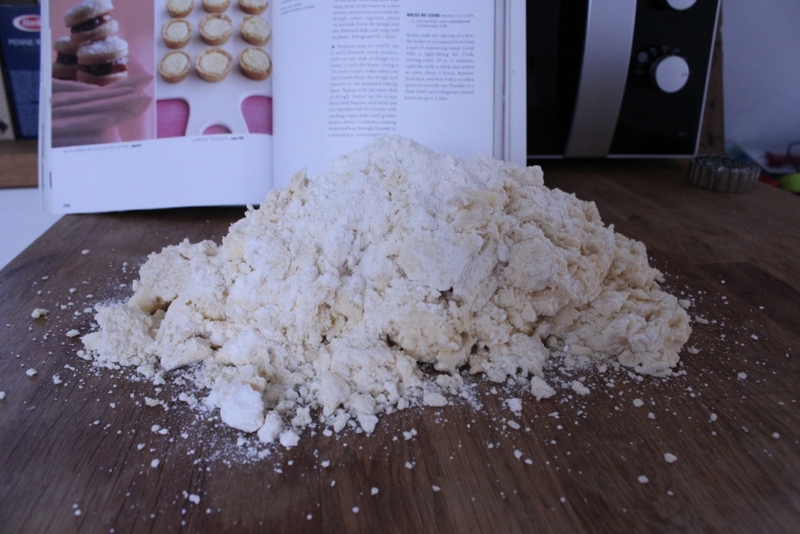 Then, add the ½ cup water and mix together, not working the dough too much. Turn the dough out onto a working surface. 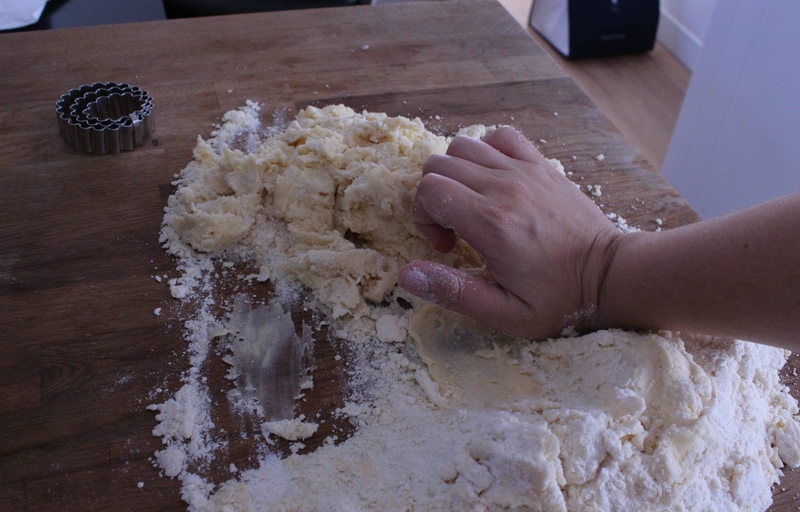 Using the base of your palm, push the dough across the surface, this further mixes together the dough. Do 1-2 times until everything comes together. Form into two flattened disks and refrigerate. 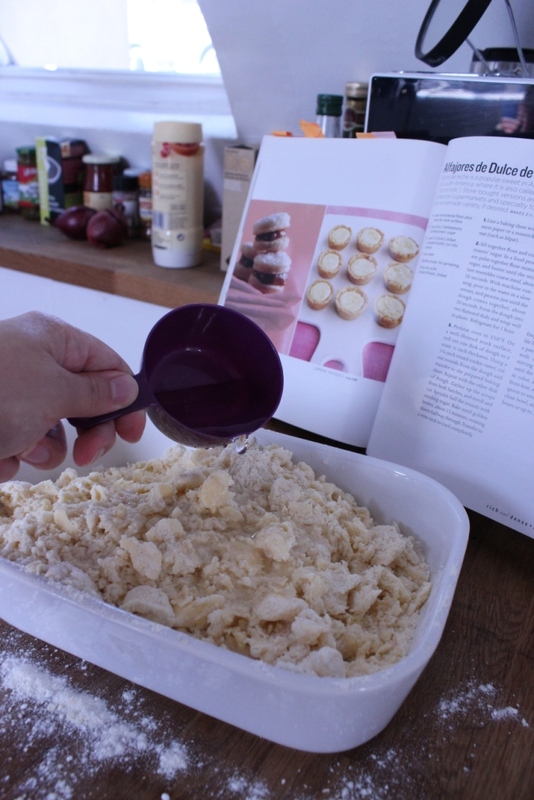 With a Food Processor: In the bowl, pulse together the flour and confectioners sugar. Add the cubed butter and pulse until the mixture resembles coarse sand (about 20 seconds). With the machine running, pour in the water slowly just until the dough comes together (about 20 seconds). Form two flat disks and chill for 1 hour. 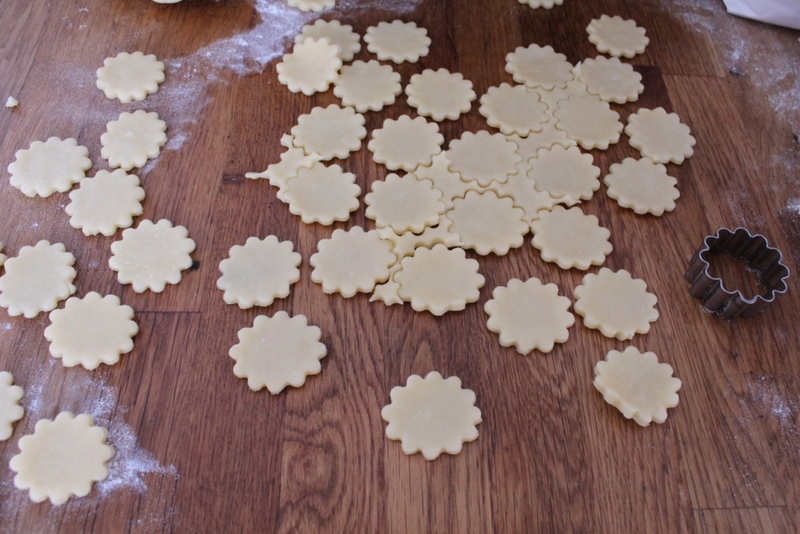 For both methods: Roll out chilled dough to 1/8-1/4 inch thickness and cut shapes out. I used a 1 inch cutter. 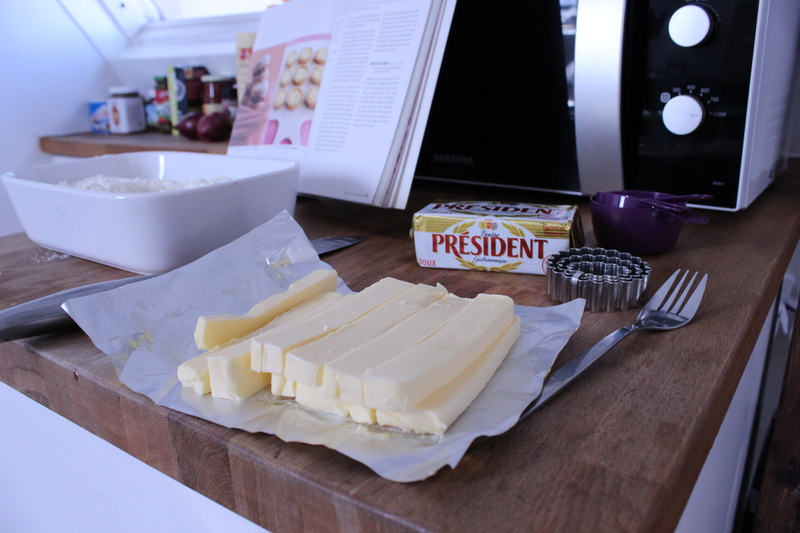 Put on baking sheets lined with parchment paper. 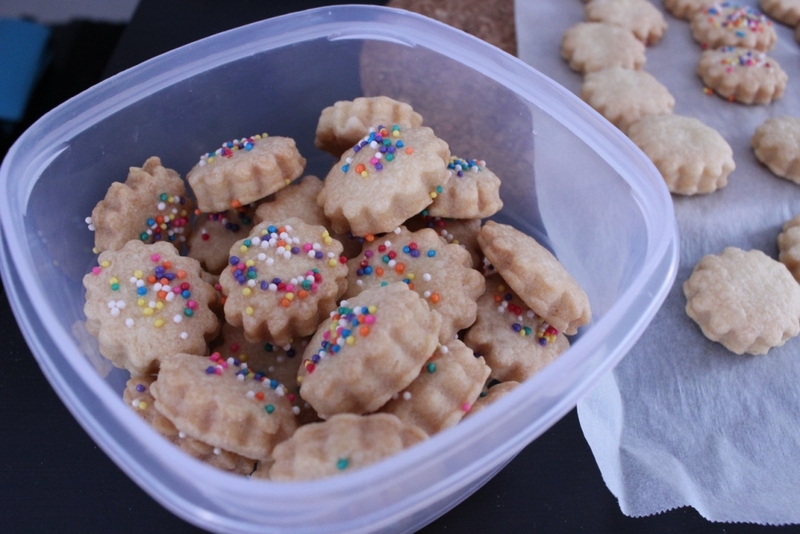 Sprinkle half with sanding sugar or sprinkles. Bake about 15 minutes at 350 degrees. 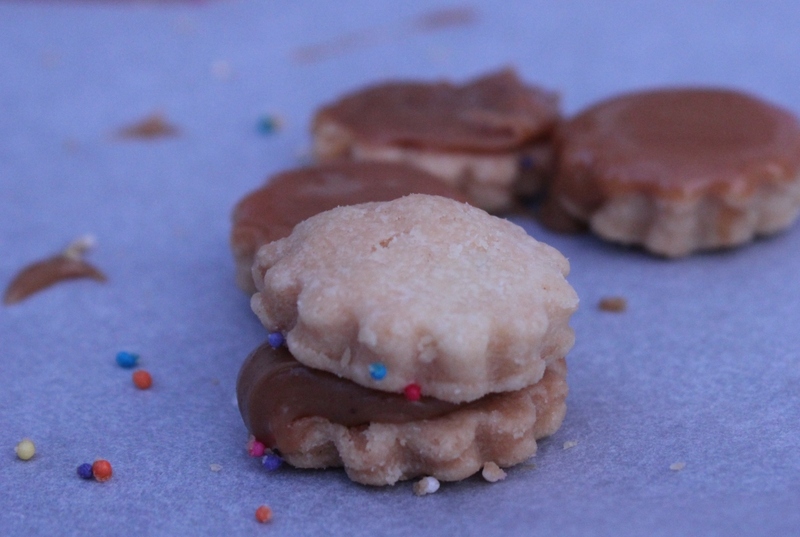 Once cool, dip into dulce de leche and leave as is, or place another cookies on top! Dulce de Leche From Scratch: empty 2 cans of sweetened condensed milk into the top of a double boiler over a pan of simmering water. 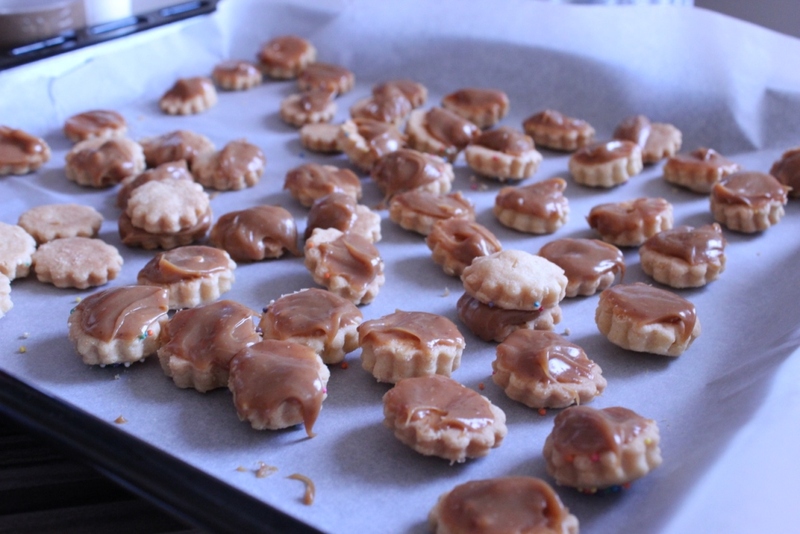 Cover and heat stirring every 10-15 minutes until a dark caramel color, about 5 hours.